Let's be real–finding an excuse to skip the gym is basically the easiest thing to do everyday. 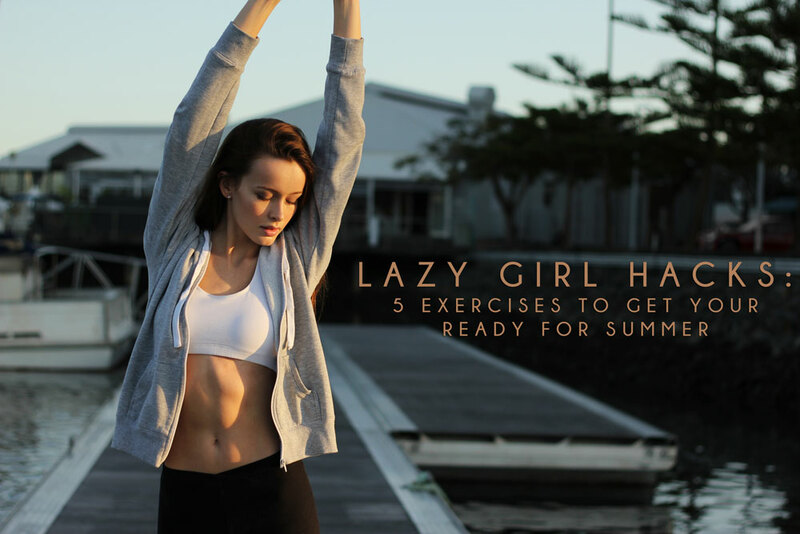 To keep the excuses to a minimum, we've got some tips to keep you on track + a great and quick at home workout that will get you ready for bikini season! Tip 1: Keep your workouts short. You can always do a short and intense workout, which can ultimately be better for you instead of a long drawn out workout where you don't push yourself! We are talking a 10 minute max workout..that's it! Tip 3: Kill two birds with one stone by combining strength and cardio training in one workout. You can do abs, squats, lunges and push-ups all with a mix of cardio! Tip 5: Get your gym bag ready the night before. Then there is no rush (which can ultimately lead you to skip)! Tip 6: Have a routine! If your workout schedule feels like second nature, you won't be so tempted to skip it. Tip 7: Do you often find yourself too tired to hit the gym? Make sure you stay caffeinated! A few sips of coffee or green tea will make sure you get your energy back on track. Tip 8: Follow fitness stars on social media to find some inspiration and set some goals! Tip 10: Make sure you are getting enough rest every night. And let's be honest, it's a great excuse to be lazy a little longer! Make sure that you do not rest between movements! Repeat all five movements five times. You can rest 1 minute after each round, but make sure you push yourself to get faster each time!